This past weekend saw the first air strike by the UK RAF inside Syria utilising its new Brimstone missiles fired from a pair of Tornado aircraft. At around £100,000 each these air strikes do not come cheap. The one conducted on 10 January used four of the weapons. So what did they hit? Must have been something of importance to throw £400,000 at it? Well according to reports the Brimstone missiles were used to destroy a supply truck and some mobile cranes in the possession of Daesh. Back in 2013 the UK MoD spent £35 million on a contract with MBDA for the supply of these weapons for the next five years. The Brimstone was already used extensively in Afghanistan. The advantages of the missile is that with its precision guidance capability it is said to significantly reduce the risk of collateral damage. The latest dual-mode Brimstone combines semi-active laser and millimetre-wave radar guidance, now you can start to see where some of the costs are coming in. So what about the Hellfire I hear you ask. Now that’s a pretty sweet piece of kit too and has some of the market share the MBDA are looking to tap into with its Brimstone. If we do a bit of price comparison in the US a Hellfire costs around $70,000, that’s around half the price of a Brimstone. One downfall though is that Hellfire cannot be fired from a fast jet. The US Army primarily utilise the missile on its Apache Helicopters and The US Air Force on its Predator UAVs. 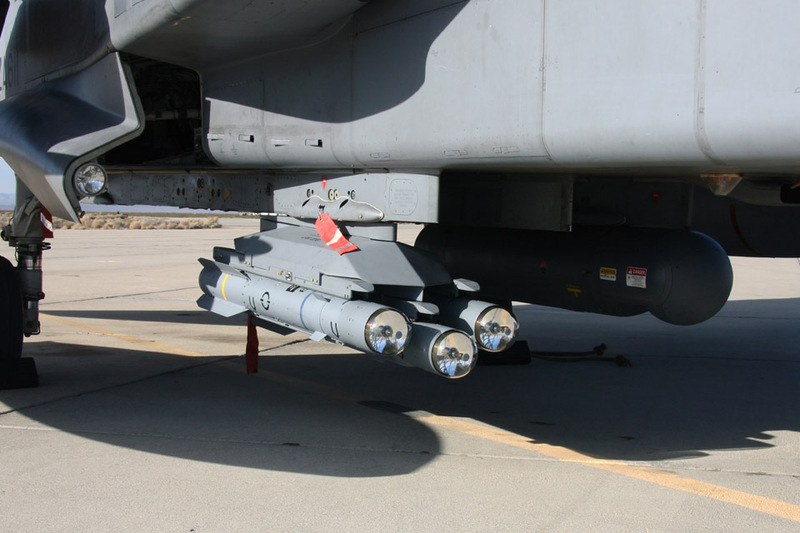 Notably MBDA has tested the Dual-Mode Brimstone on a Reaper which saw one of the UAVs carry two of the missiles. The Hellfire comes in multiple variants and but only has a laser guidance system. Unlike the Brimstone which has both laser and radar. Win Brimstone. Whether the US will ever adopt this technology is questionable. With Hellfire and now Joint Air-to-Ground Missile (JAGM) which is a project intended to replace Hellfire it seems pretty unlikely. As well as being pretty expensive. Though one of the other Quill bloggers said that at AUSA in 2015 MBDA had a Brimstone painted green under a helicopter to demonstrate it to the US Army.